A 6-hour course to teach you how to create professional videos on your smartphone. In this class you will learn how to use your smartphone to tell stories through video. 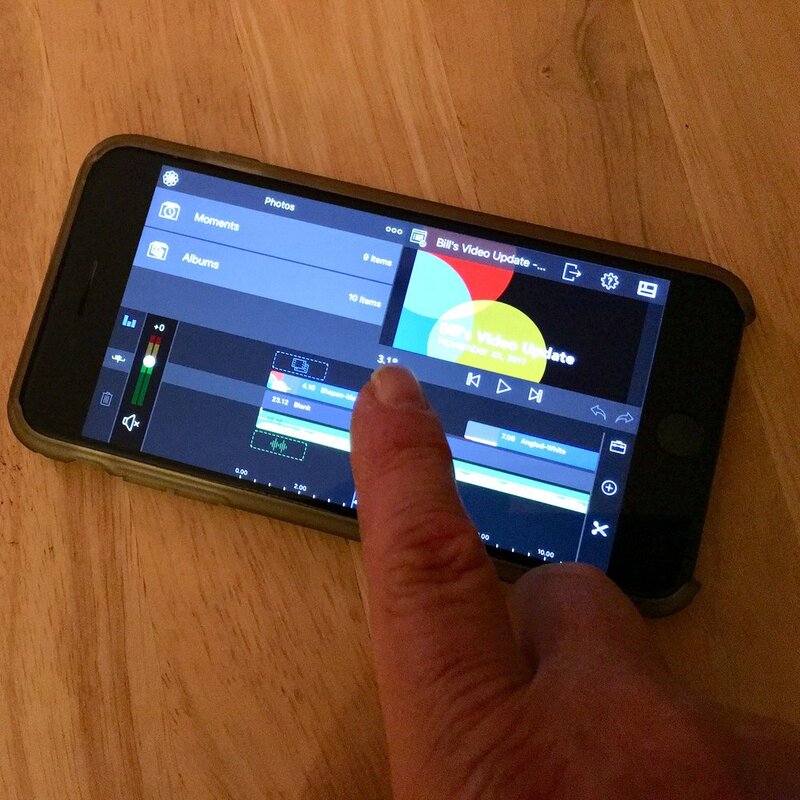 Using your own smartphone and its default camera app, you will capture short clips to create sequences that become the building blocks for your storytelling videos. Though you can make compelling videos with your camera app, you will want to be able to edit the video sequences you capture to make them even better. We will look at some free video editing apps as well as some for purchase. You will produce at least one 2 to 3 minute video on a topic of your choosing. Smartphone holders help you get more stable videos. It is difficult, but not impossible, to get stable video clips holding your smartphone in your hands. We will discuss and you will use several pieces of hardware to help you get more stable and professional looking video clips. You will learn how to make your videos look and sound their best by using lighting and audio accessories. During the course you will have hands-on practice with your own smartphone connected to various audio and lighting accessories provided by your instructor. You will use these to capture clips that you then build into video sequences. A great story is at the core of all storytelling videos! Having the right equipment and video-related programs or apps is only half of the mobile video storytelling process. The other and more important half is the story you want to tell. We will discuss what makes a good story and identify a story’s common parts. We’ll look at deciding on the characters in a story and determining the main character on whom you will focus in yours. You should come to session one with several story ideas and one of a story you could put to video during session three. Editing the video clips you have captured on your smartphone is easy! Six hours of hands-on instruction. The training can be offered in a 1-day workshop format or as three 2-hour long sessions over several days or weeks. Interested in taking this class online? Contact me to discuss arrangements. Cost varies by number of participants up to a maximum of eight. Download a PDF of my brochure! e-mail or call Bill Booz at 434-238-5571. Have rising 9th or 10th grader? Check out my 2019 Mobile Filmmaking Camp! Two samples of storytelling videos I've made. See more in my Video Stories playlist. Remake of my 2012 video on making bread using recipe from Jim Lahey of NYC Sullivan Street Bakery. This is a great recipe that has only four ingredients and is SO easy to make! Great to eat and great to give as gifts.